Errol Flynn action scenes are like pot. Relaxing, easy-going, kind of silly. When George Lucas introduced us to the space fantasy of cocaine, there was no turning back. The hypodermic needles we whored ourselves out for since then have been numerous and tetanusy. Finally, the cinema industry has heaved like the great queen slug in the slurm factory the most concentrated dose she can muster. 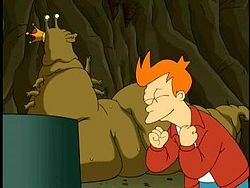 The secretions are so potent that we, like Phillip J. Fry, cannot tear our selves from its sugary-pulpy goodness. Tim Burton is a genius. He had the great wisdom to mix the two most commercialized sugar-high excuses into one glorious movie and put a rather compelling twist on both. He gave our grocery store's "seasonal" aisle names and faces too demented to forget. 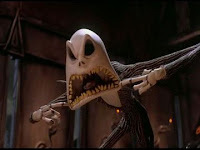 In the reflective piece of The Nightmare Before Christmas, we are introduced to Jack, the pumpkin king, who is bored to depression by the fact that his lifestyle of freely indulging his mischievous impulses has become so routine. Like a drug addict who, after a long life of indulgence, starts to feel numb all over. They require bigger and bigger doses until they hit the limit. Movie action has pushed the envelope to the point where it catches fire and gets pregnant with mutant alien fire babies. 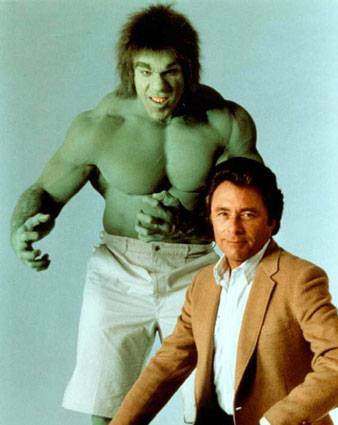 Yeah, I saw The Avengers. It was the most masterful methamphetamine overdose to date. That movie was a rush. I think if it had been released thirty years ago, the viewers would've been foaming at the mouth, caught in a coma because human brains had yet not been trained to consume that much data all at once. The whole of humanity seems to have been preparing, stretching our eye sockets so they could be safely gang-raped by that many over-the-top, renditions of cataclysmic collateral damage. Just like a good overdose, the 2.5 hours of flashing lights, perpetual noise, masterfully-rendered quipiiness... the end result is me feeling hollow inside. What am I supposed to think about this movie? This thought had been haunting me since 2003 when Ang Lee's unfortunate work gave us little more than Jennifer Connelly wearing too much clothing. It festered all through Toby Maguire's rendition of the pre-Amazing Spiderman, and it has finally reached its fruition today with Avengers. Action scenes in the modern comic book movie are much like the way boys make believe; everything is larger than larger-than-life while having a simultaneous triviality to them. What's more amazing than catching a flying F-22 Raptor in your teeth? Not even caring about it afterwards, that's what. And where do you go from there? Do it again! That can't possibly get old! Like boys on the playground, this movie abuses orders of magnitude only seconds before the abuse of infinity — which actually really isn't infinite at all because they have no clue what that means… and if they did know what it meant, then the game would be over and you wouldn't get to keep fighting the bad guys. Thus, the power the enemy wields is infinite but the power of the good guys is infiniter. What the hell is the point of winning if you can't lose? What's there left to fight for if (spoiler alert for the hyper-sensitive) you can't even die by shooting yourself in the head? Just about all other pretense at conflict from then on just seems masturbatory. When I think about how terribly boring the literary side of The Avengers is, it frustrates me because it's a pretty good movie with some amazing imagery in it. They even managed to keep the camera guy's epilepsy under control just long enough to show some of it! If only the Bourne movies could say the same. 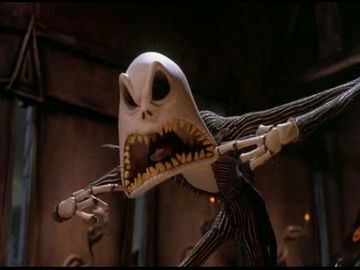 I feel like Jack the Pumpkin King. It feels like I've been watching the world (a world that its own prospective conquerors admit isn't really all that interesting but they just wanna conquer it anyway) in peril so much that I've stopped caring. Just like Jack, I'm so bored with the same-old routine of watching New York (curiously always representative of the whole of civilization) teeter on the edge of doom that the only way I'm going to be happy ever again is if I ruin Christmas. The Avengers, while magical and epic times ten to the power of infinity (but not really) is a net loss on the fun factor.